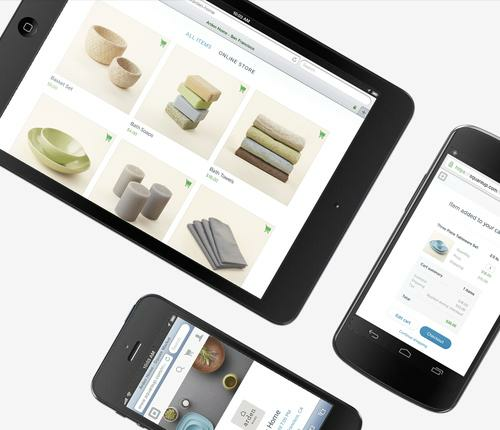 Mobile payments company Square has launched an online marketplace, an offering that an analyst said is similar to those from eBay, Amazon and Etsy, where merchants can sell products to consumers. Square, known for its small, magnetic-stripe card reader that allows sellers to accept credit card payments by smartphone, opened an online store to allow U.S. merchants using its system to reach a broader audience, the company said on Wednesday. Merchants can set up an online store and create an item library. Sales made via the market and sales made in a physical store are all viewable via the Square dashboard. Square Market will be a direct competitor to similar online marketplaces from eBay, Amazon and other e-commerce vendors, said Rick Oglesby, senior analyst with Aite Group, in an email. "But it will also be a big threat to the other payment widget makers who don't offer similar services." Square Market requires no monthly, listing or setup fee, but Square takes a 2.75 percent commission on sales, the service's setup page said. Merchants also can apply their own shipping costs to each item. Rival Etsy, for instance, also has no membership fee, but charges €0.20(US$0.26) to list an item, and there is a 3.5 percent commission on sales according to Etsy's website. To attract in-person visitors, Square Market merchants can create a page that shows their business by including photos, hours of operation and location. They can run a rewards program and offer first-visit specials, and also link their Twitter feeds to the online store. Customers with a Square account can pay with their linked credit card. Shop owners get notified of every new order via email, can view order details online and also communicate with customers if they have questions about the transaction, it added. According to Oglesby, Square is building out a comprehensive set of merchant services that includes marketing for finding customers and boosting branding; offline and online transaction processing; and order fulfillment. "Those that continue to think about payment processing and widgets are already missing out; they need to be thinking about end to end business services," he said.